We have two pairs of tickets to give away to two lucky winner for Copper Face Jacks: The Musical at the Olympia Theatre on Sunday 8th July. To be in with a chance of winning, answer the following question: Who wrote Copper Face Jacks: The Musical? Email your answer to nomoreworkhorse@gmail.com, mark the subject line of the mail Copper Face Jacks and include your name, postal address and phone number. All entrants must be over 18 and tickets are non-transferable. One entry per person only. Closing date for entries is Friday the 22th of June at 1pm. New York had Studio 54 and Manchester had The Hacienda but ALL of Ireland has Copper Face Jacks and now this Club Of Clubs is getting its very own all-singing, all-dancing musical as the producers of ANGLO: The Musical are proud to present the world premiere of Paul Howard’s latest comedy masterpiece, Copper Face Jacks: The Musical. Tickets from €26 plus booking fee and €1 restoration levy on sale now. 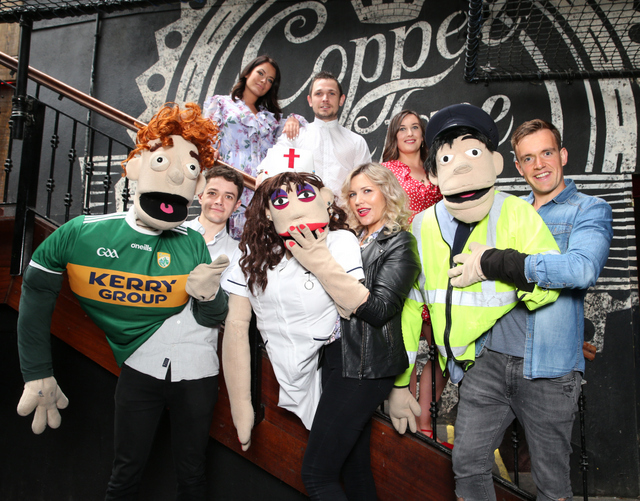 Opening in Dublin’s Olympia Theatre on Thursday 5th Of July, Copper Face Jacks: The Musical is a celebration of a club that started out life as something of a Culchie Embassy in Dublin but has since been embraced by its home city, as regardless of your county colours you’ll always find a welcome (and a slow-set plus a nurse…and if your lucky both together) in the club that has become synonymous with having a good time for three generations of Irish night clubbers. COPPER FACE JACKS: THE MUSICAL stars Johnny Ward (Fair City, Love/Hate) as Gino Wildes, Roseanna Purcell (Red Rock) as Noeleen Ní Gearailt a nd Michele McGrath (The Tudors, Damo and Ivor) as Gretchen Ackerman.